Giuliana Sinclair, Oyster Ambassador and a volunteer who worked with elephants in South Africa, explains what inspired her to choose her trip, in part 1 of her blog. Of course the reading and researching that you end up doing to decide how you want to spend your gap year is extensive, you would expect this, probably it is your first real BIG trip on your own, you are in charge, you need to make choices and work out the details. There is a whole lot of things involved in the preparation for your trip but I would say the most important thing is to start dreaming about it. In my case I had decided to go and volunteer in a South African elephant park and study elephant behaviour. This was my first big trip on my own so I was incredibly excited. I had never seen a wild elephant in its natural environment before so I was really excited at the prospect of seeing for myself what they looked like and what it felt being in their presence. My mum had given me a book that got me utterly fascinated with Africa and elephants even before leaving – I had truly started dreaming about my trip. The book I voraciously read was “An African Love Story”, an autobiography by Daphne Sheldrick. Daphne Sheldrick tells the story of her life and her family in Kenya from her ancestors first arrival in Africa to the ground-breaking conservation work she is running today. 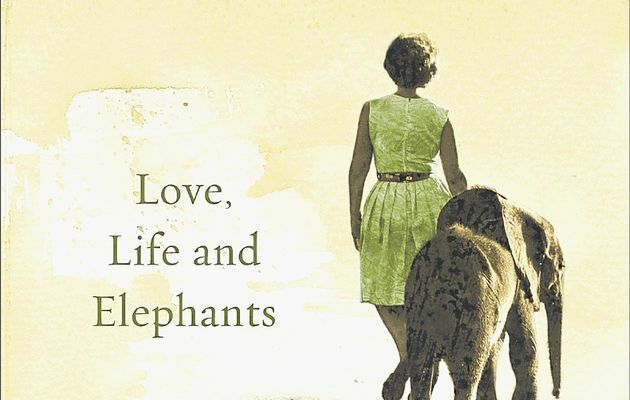 It is also the story of her love for David Sheldrick, the founder of the massive Tsavo National Park in Kenya and how they worked together to protect elephants and all wildlife, from poaching and useless culling. Throughout her life she has raised and reintroduced back into the wild countless orphans, from elephants to gazelles and from zebras to rhinos. Her biggest achievement was to be the first person to come up with the right milk formula needed to raise newborn elephants. In 1977 after David’s passing, she founded the David Sheldrick Wildlife Trust (www.sheldrickwildlifetrust.org) which is dedicated to the protection and conservation of all wildlife and focuses in particular on the rehabilitation and reintroduction of orphaned elephants (they’ve raised over 190 orphans now!). Her book is a beautifully-written account of her life-long dedication to the protection of wildlife, which truly fascinated and inspired me, not only for my gap year but also for the decisions (such as my course of study) which followed. In “preparation” for my trip, I also fell for a second book, “The Elephant Whisperer” by Lawrence Anthony. It is a page-turning story of the relationship between one man and a herd of wild elephants. It starts when this man decides to accept a troublesome and often dangerous herd on his game reserve in South Africa to save them from culling and then tells the tale of his battle to create a bond with the herd. Full of humour and adventurous anecdotes in the African bush, it was so fascinating and absorbing that I found it very hard to put the book down and at the same time I didn’t want it to end. It gives you great insight into the intimate lives of elephants and just how much there is to learn from them. These books for me were true inspiration; the Rough Guide to South Africa provided the link with a more practical and down-to-earth guidance for my time in South Africa and finally my constant contacts with Anne at Oyster provided the reassuring support that I definitely needed throughout the preparation period. With all this inspirational and practical help, I could not have been more excited for my life-changing trip, volunteering with elephants in Sputh Africa! The trip was more than I could ever dream of, something that has now become a part of me, something I will never forget. It is not only a question of growing up, facing new situations, learning so much, coming back with a boosted self-esteem. Coming back as a changed person has also meant different attitudes and different commitments. I started getting involved in things I would never have expected to get myself into back at home. I came back in September 2013 and on the 4th October I was marching in Rome at the world’s first International March for Elephants (www.iworry.org) calling for a ban on all ivory trade and implemented laws against wildlife crime. I also decided to invest in the David Sheldrick Wildlife Trust’s cause and have been fostering one of their elephant orphans ever since that September. My experience of studying semi-wild elephants at the park and learning about the current threats they face today has got me progressively more aware of the issues, more passionate about them, ready to work to change attitudes around me. For me this trip meant a transition from never having seen an elephant in the wild, still considering them as big cuties, to wanting to give them a voice, wanting people to see and hear the issues involved in ivory trade and the conservation work being done to keep these incredible animals protected and free to roam undisturbed in their natural environment. I know my voice is like a small drop of water dumped on an entire forest flaming with fire. But after my trip I am now keen to keep in touch, raise the awareness of people around me, read more stories, be continuously inspired and perhaps do my bit in inspiring others. SO…let me do my bit to inspire you! Even if you don’t feel like actively campaigning, digital support through social media also counts as support because you raise awareness. Just by joining a couple of pages on Facebook, such as the Amboseli Trust for Elephants or the Lawrence Anthony Earth Foundation, you make an active decision to keep abreast with news and campaigns for the protection and conservation of the natural environment and all wildlife. Even if you just scroll through your news feed and glance at a couple of elephant pictures or success stories or news about a country banning their ivory trade, it does make a difference, because you’re no longer indifferent. For me, all this wouldn’t have happened had I not decided to go off to South Africa, to volunteer with elephants. I may not have realized it at first, but it was a decision that indeed did shape and is shaping a lot of the choices I am making today!